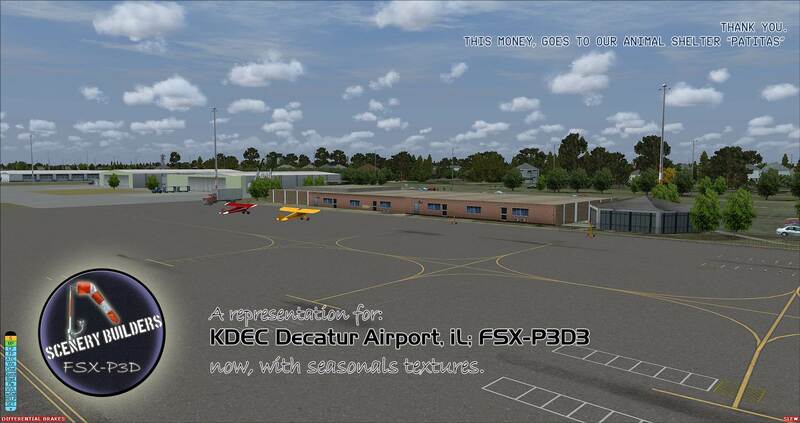 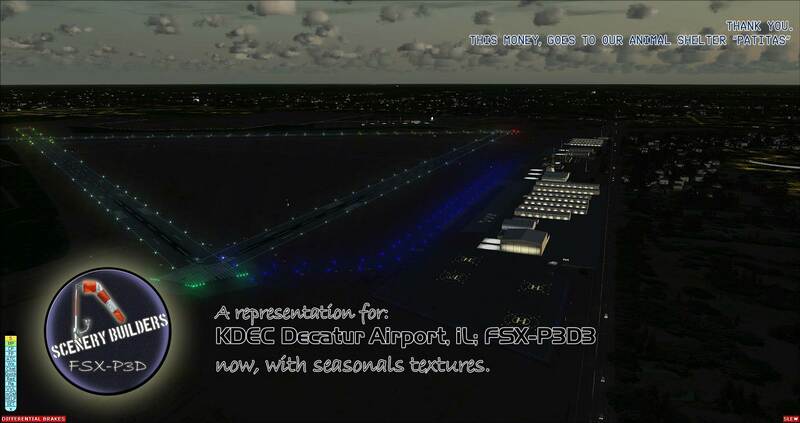 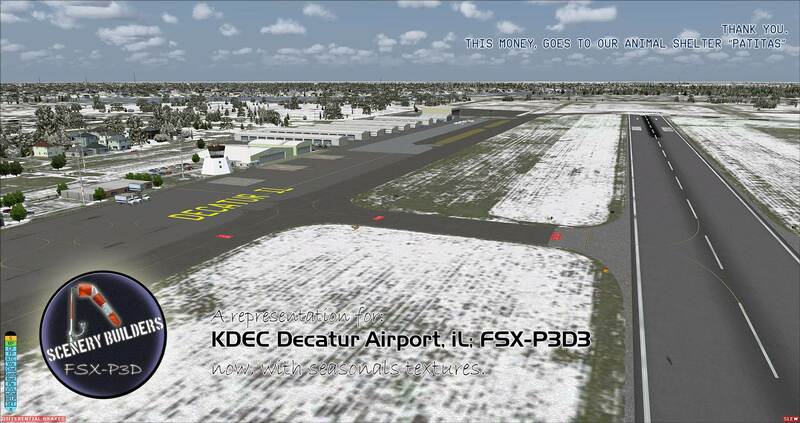 KDEC Decatur Airport (IATA: DEC, ICAO: KDEC, FAA LID: DEC) is a public airport five miles east of Decatur, in Macon County, Illinois. 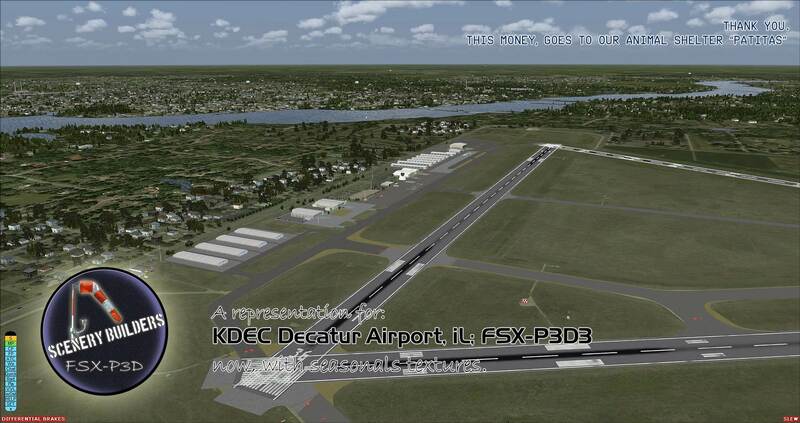 The airport is owned by the Decatur Park District. 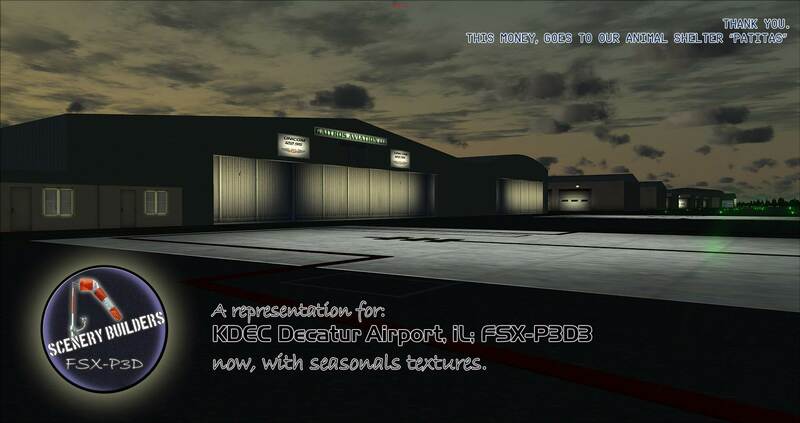 This is a representation for this airport, all the small info are compiled from Google, that´s why no one has tried to make it before (no accurate textures and sizes). 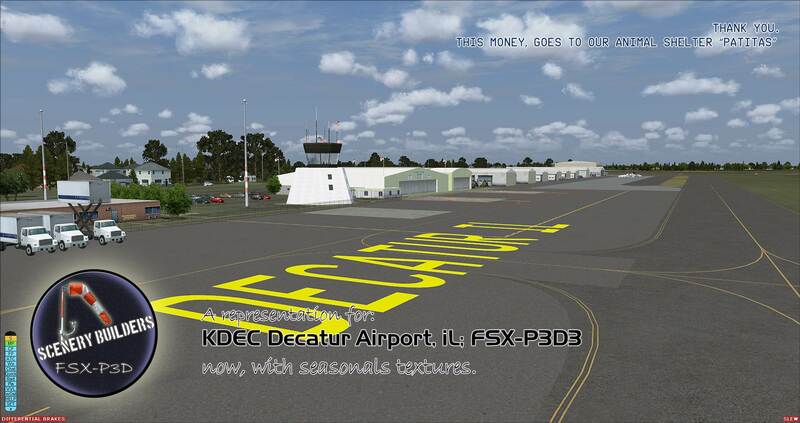 This money goes to animal shelter "Patitas"